Spending sleepless nights in fear of thieves? Going out for a vacation and worried about the safety of your home? Every homeowner is today thinking the same questions and is looking for one best solution. If you are also nodding your head then consider installing CCTV cameras at your home. Yes, CCTV cameras have become the finest solution to all the safety & security concerns. Whether it is your home or office, you can install the cameras and enjoy a sound sleep at night. These cameras will record it all and will update you if anything unexpected has taken place. If you are still thinking about the advantages of CCTV camera installation for safety then you must read on following. #1. Affordable Solution- The first reason to install CCTV cameras is that they are the most affordable solution available to remain secured. Unlike other technological devices and advanced cameras, they are available at competitive prices and can be afforded easily. You can hunt for the shop that offers good packages of high-density cameras with great storage devices. In fact, you will not have to spend anything on the maintenance of these cameras. They are easily to maintain and remain safe. #2. 24/7 Monitoring- This is the major reason on installing CCTV cameras. They monitor your home round the clock. In case, the thieves have run after robbing your house, you can see their faces in the CCTV footage and take help from the local police. These cameras will record everything right from the gardener entering your house to water the plants or your kids are coming back from school. Whether its 4 in the morning or 12 noon, it will keep a note of every moment. #3. Complete Safety- Even if you are going out of the city for a week or so, you can ask somebody else to monitor the CCTV recording. You can just ask them to keep an eye on the screen after regular interval and ensure that everything is safe. This means that your house will remain safe even when you are out. It is true that burglars avoid thrashing in the houses with CCTV camera due to the fear of being caught. Thus, you remain safe with it! #4. Increases the Home Value- If you have installed the CCTV cameras at every corner of your outdoor then it is surely going to increase its value. At the time of selling your house, it will be considered a major plus point. It will increase the price greatly. Thus, it simply means that the onetime investment in CCTV cameras can help you in reaping its benefits for the years to come. #5. Readily Available- This is again a great benefit of CCTV camera installation for safety. They are easily available in the market. You can buy these cameras either from the brick-and-mortar shop or from the online ones. You can first compare the prices of both the options available and then land up with the most affordable and the finest one. However, to ensure all those benefits, it is important that you buy CCTVs from a trusted vendor. Do your research and pick a brand that best fits your needs and budget. Make sure there are no information leaks. 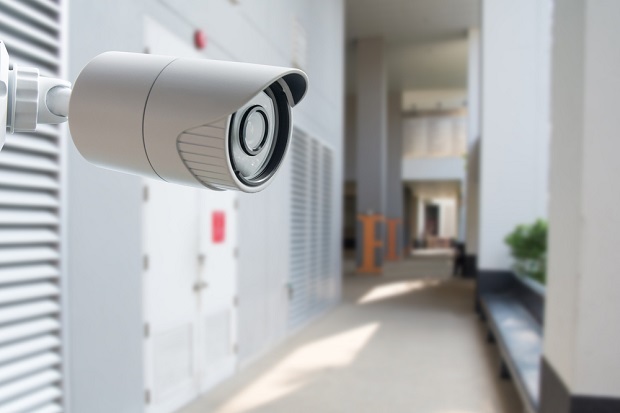 A lot of Chinese CCTVs have security loopholes that can put your home or office at risk. You also need to pay attention to the warranty and terms. Most good CCTVs come with at least 2 years of warranty.